STEEL BUILDING AND ASK ABOUT OUR SPECIALS! and wait for confirmation screen. Our buildings in Pensacola are rated for 150 mph winds and can be upgraded to 180 mph if needed. 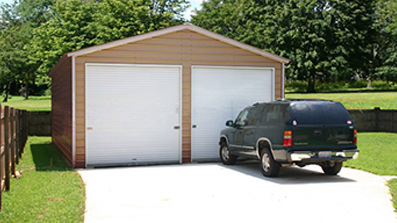 We offer FREE turnkey installation of Steel Garages including FREE DELIVERY to your job site. 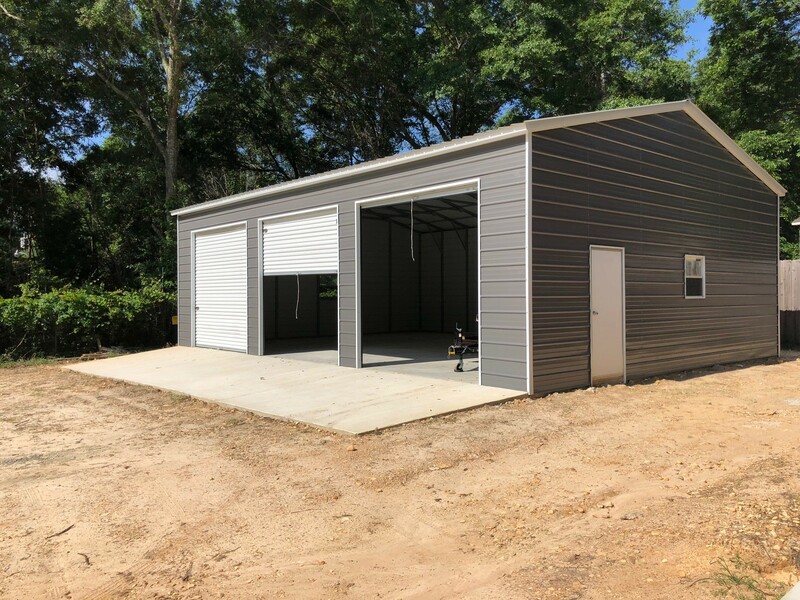 We install Prefab Garage Buildings in Tallahassee, Panama City, Pensacola and all areas of the panhandle. Whether you’re looking for a small two car Garage or a large oversized steel workshop or storage building we can supply it. 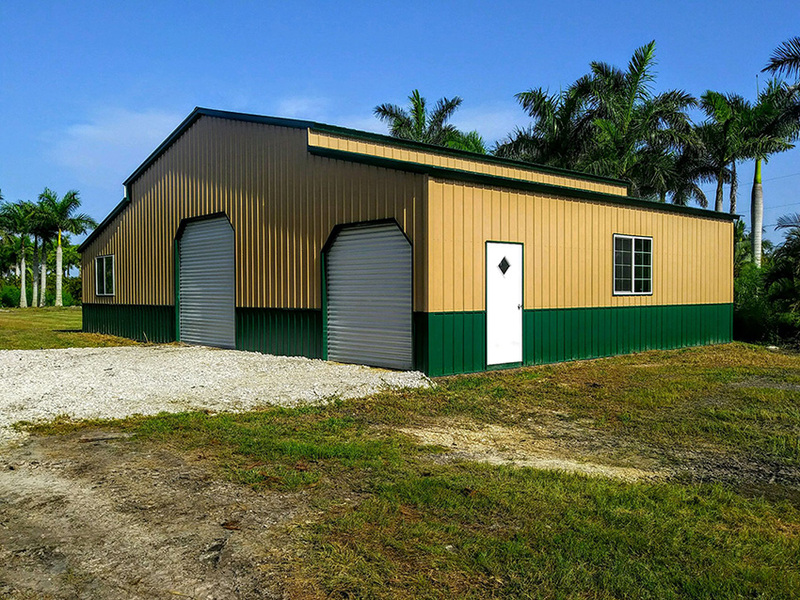 We offer over 35 years’ experience in the Steel Building industry and use only 100% American steel and American labor giving you peace of mind that you’re getting a top quality product. We also offer an exceptional warranty on all of our buildings. Top quality all steel buildings at the best factory direct prices! 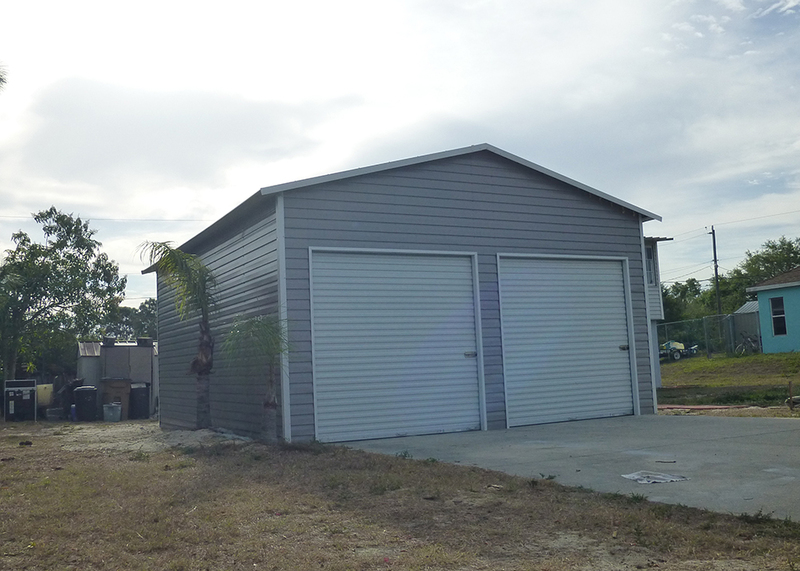 BUY YOUR PREFAB STEEL GARAGE FROM A COMPANY LOCATED IN FLORIDA DOING INSTALLATIONS IN PENSACOLA! Delivery to your jobsite and FREE installation included! Eversafe Garage Prices Include Delivery and Installation. 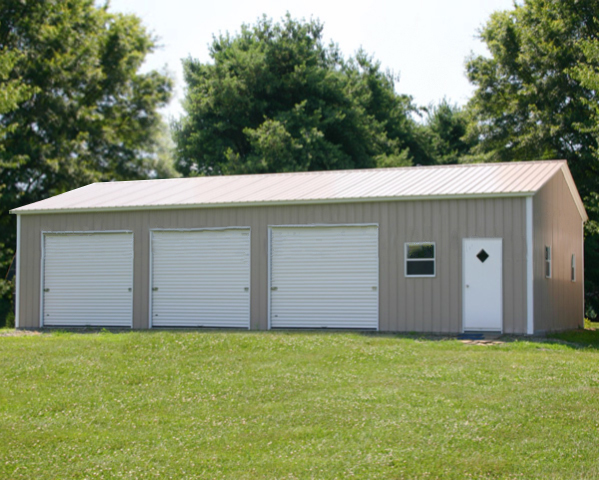 Our Small Metal buildings start from $2,615 installed. 30×40 Garage Building Kits now only from $11,905*. Are you building in Escambia, Santa Rosa, Okaloosa or Walton County? We have local installation available in EVERY COUNTY in FLORIDA!!! 100% CUSTOMER SATISFACTION GUARANTEE. Our customers are our number one priority! Eversafe has an A+ rating with the Better Business Bureau and offers a 100% customer satisfaction guarantee on every building sold. And while most steel building companies require a large deposit up front and the balance when the building is delivered, before you’ve had time to build it, all we ask for is a small payment when you order and the balance does not have to be paid until after the building is installed to your 100% satisfaction. If you happen to have any issues, which is rare, all you have to do is make a quick phone call and we’ll take care of your issues right away as we’re here locally to assist you. Every building we sell is guaranteed to pass all building codes in Escambia County, Florida. Rated for 150 MPH Florida winds, our buildings can be upgraded to 180MPH. We also offer engineer stamped drawings to help you get your building permit and offer a permit pulling service as well. 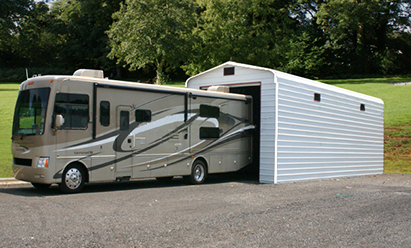 Storage Buildings in virtually any size you need! If you’re looking to color match your building to your home or any other buildings on your property in Pensacola, you’ve come to the right place. 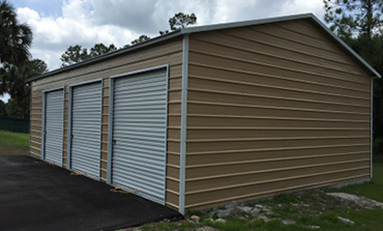 Eversafe Buildings offers a variety of colors for roof, the walls and the trim for your Metal Garage Building, which allows easy color matching. 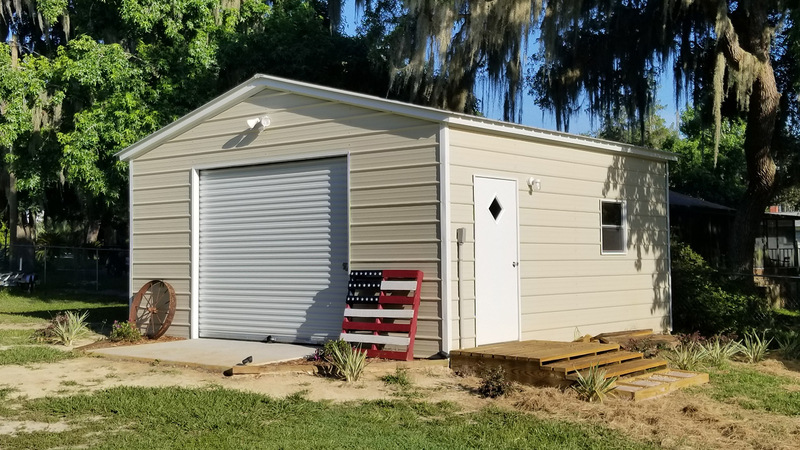 Customizing the dimensions of your prefab garage is not a problem either since our buildings are available in many different sizes to match your needs. 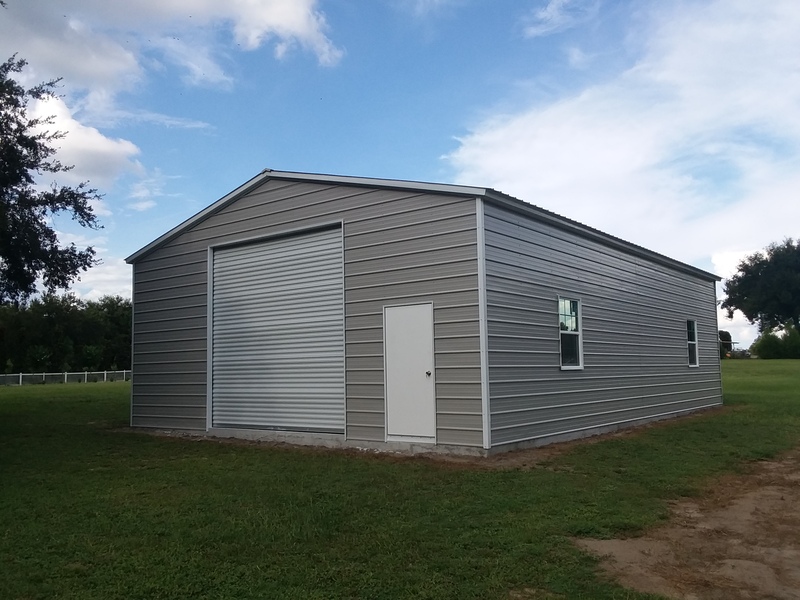 If one of our many standard sizes don’t work for you, just let one of our estimators know and we can design your prefab steel garage based on your own dimensions. One of the other great features of our garage building kits is that they are guaranteed to meet and/or exceed all Florida hurricane codes. Each Eversafe building is certified for 150MPH with an optional upgrade to 180MPH if needed. Store your car, truck, motorcycle, motorhome or any other equipment knowing that they’re safe and secure in an Eversafe metal garage. We offer complete installation in Pensacola, Niceville, Panama City, Marianna, Crestview and many other cities in FL. Our metal buildings are the best quality in the industry and our customer service is top notch. Check out our A+ BBB rating to see for yourself why choosing Eversafe for your building in Florida is the right choice. Call one of our friendly and knowledgeable building specialists today at 1-800-374-7106. *Prices subject to change without notice and the terms and conditions. Local building codes may vary price slightly. Pictures shown are examples only and may vary from model selected. EVERSAFE STEEL BUILDING AND ASK ABOUT OUR SPECIALS! *Delivery and installation included almost everywhere. Call for details. **Pictures shown are examples only and may vary from model selected. Pricing may vary slightly depending on region. © 2009-2017 Padry. All rights reserved.